Having vanquished all in 2012's bloody war of animated monster movies, Sony's Hotel Transylvania is being readied for a sequel to debut Sept 25, 2015, just in time for that year's Halloween season and the commencement of its many dark rituals. "We eagerly await the moon of another Samhain, as children assemble in their black masses to witness the annual opening of the door to the Otherworld, allowing its monstrous beings to move among us and engage in wacky, vacation-related hijinks," a Sony executive probably said, no doubt while hoisting a bloody ram's skull. 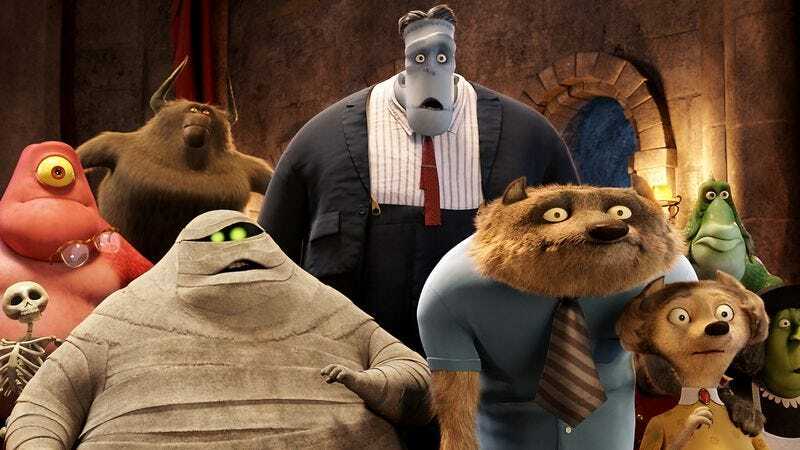 Having received around $253 million and untold amounts of animal sacrifices at the global box office, Hotel Transylvania is currently on track to become Sony's highest-grossing animated film ever, thanks to its all-star cast and the irresistible thrall of evil. And while some of that cast—in particular, Adam Sandler—will no doubt return to that wicked duty, director Genndy Tartakovsky won't, having been set down the potentially even darker path of working on Sony's Popeye.